It is a few years after the war has ended and young Michael (not the author) is growing up in London, living with his French mother Christine. All he knows about his father is that his name was Roy, he was in the RAF during the war, flying a Spitfire and he had been shot down over the English Channel. His mother had one of his medals and let Michael keep it in his room. She told him that his Auntie Snowdrop (really Martha) had the other medals and would be happy to show them to him when they visited her and her sister, Auntie Pish (really Mary), on New Year's Day. And while Michael didn't really like to visit his Aunties much, he did enjoy seeing Jasper, a little Jack Russell terrier. The visits were always the same, time after time, but one day, as Michael was coming out of school, he saw his mother waiting for him and knew something was wrong. She told him that his Auntie Snowdrop had passed away. At the funeral, his Auntie Pish told him there was a parcel from Auntie Snowdrop for him and she was post it to him right away. When Michael was 13, five years after his Auntie's death, he was given Jasper to take care of when Auntie Pish couldn't do it anymore. Eventually she went into a nursing home and, about five years after the death of her sister, she gave Michael the parcel that was meant for him. In the parcel was a framed photograph of Michael's father, which he set on his desk. But when Jasper jumped up on the desk, he knocked the photograph over and the glass broke. Annoyed, Michael picked it all up and discovered a pad of paper behind the picture. On it his Auntie had written "Who I Am, What I've Done and Who You Are" and it was dated 1950. As Michael read her words, he discovered who his grandfather, his father, and his Auntie really were and how they were connected to each other. And what this all means to him. It was all a family secret that was never even shared with his mother. His grandfather had served in World War I, and had died saving the lives of other men on the battlefield, but even though he should have gotten a posthumous medal for his bravery, he was never awarded one. Why did this happen? Well, Leroy Hamilton was a London orphan, intelligent, a great soccer player and a very congenial person. He was also black and when he volunteered for military service in World War I, black men did not get awarded medals...until his great great granddaughter decided to fix that wrong. But where do Auntie Snowdrop and Michael's father Roy fit into all of this? Using his familiar device of telling a story with a story, Michael Morpurgo has found another unusual story and turned it into a wonderful tale for kids. A Medal for Leroy is based on the true story of Lieutenant Walter Tull, the only black officer to serve in the British army in WWI, though it only contains aspect of Tull's life, it is not a recounting. I was a little skeptical about this book before I started reading it because I didn't really care for the last Morpurgo book I read. 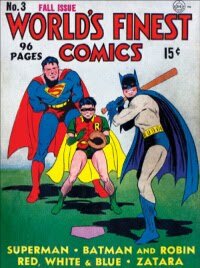 But I was pleasantly surprised once I started reading. 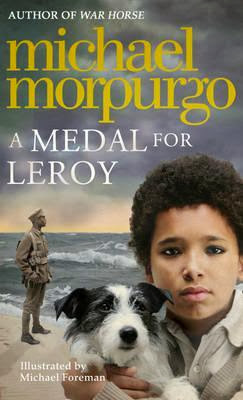 A Medal for Leroy is a gentle, poignant story that has some really interesting elements in it. It is about family, love and being true to yourself, and the emotional harm and unhappiness that family secrets can inflict on everyone involved. But is it also about triumph and hope and acceptance and I expect you may shed a tear or two before you finish.